This is the amazing true story of a real-life superhero who wore no cape and possessed no special powers—yet changed the world forever. It's a story about a man whose life reads as if it were torn from the pages of an action novel: Bullet holes through his clothing. Horses shot out from under him. Unimaginable hardship. Disease. Heroism. Spies and double-agents. And, of course, the unmistakable hand of Divine Providence that guided it all. Being George Washington is a whole new way to look at history. You won't simply read about the awful winter spent at Valley Forge—you'll live it right alongside Washington. You'll be on the boat with him crossing the Delaware, in the trenches with him at Yorktown, and standing next to him at the Constitutional Convention as a new republic is finally born. Through these stories you'll not only learn our real history (and how it applies to today), you'll also see how the media and others have distorted our view of it. It's ironic that the best-known fact about George Washington—that he chopped down a cherry tree—is a complete lie. It's even more ironic when you consider that a lie was thought necessary to prove he could not tell one. For all of his heroism and triumphs, Washington's single greatest accomplishment was the man he created in the process: courageous and principled, fair and just, respectful to all. But he was also something else: flawed. It's those flaws that should give us hope for today. After all, if Washington had been perfect, then there would be no way to build another one. That's why this book is not just about being George Washington in 1776, it's about the struggle to be him every single day of our lives. Understanding the way he turned himself from an uneducated farmer into the Indispensable (yet imperfect) Man, is the only way to build a new generation of George Washingtons that can take on the extraordinary challenges that America is once again facing. ©2011 Mercury Radio Arts, Inc. All rights reserved. (P)2011 Simon & Schuster, Inc. All rights reserved. What other book might you compare Being George Washington to and why? Some of it made me tear up, the sacrifices our early countrymen made for this great country! The faith that Washington demonstrated was so reassuring as to the principles that our country and consititution were based upon. You will not regret taking the time to read or listen to this book. It is a fascinating portal into a time we should all know more about........our history! My hero has been brought back. Thanks Glenn. What made the experience of listening to Being George Washington the most enjoyable? Simply that this man stood on conviction and you nailed it. Which character – as performed by Ron McLarty – was your favorite? I think that the hamilton and jefferson blow ups were very enlightening about our founding fathers. I feel that the descriptions of the battles and the battles within the continental congress meetings were great depictions of the truth that our country faces even today. However, today we have more blotheating fools in our congress. 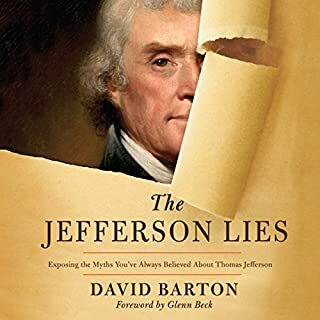 I was specifically pleased about how the book was like a novel with historical significance and yet you were moved by the character that was brought out about George Washington. Where does Being George Washington rank among all the audiobooks you’ve listened to so far? The best among the biographies I've read. Beck decided to tell the story in a entertaining narrative, using Washington's person moral codes as the thematic backdrop for the telling. And as Washington believed God's hand guided the events of his life, Beck told the story in a way that shared that same beliefl. Excellent! Not familiar with the narrarator, but I thought he did well. Many. I loved Washington's impassioned plea to his troops to fight for liberty, even when it seems Congress was unable to care for them or compensate them. 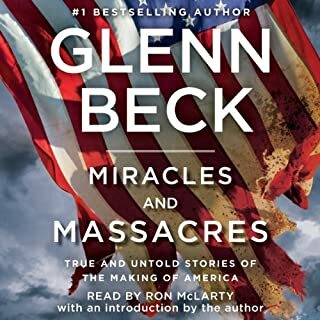 Honestly, I don't follow Glenn Beck very closely, and was a bit skeptical about the book. But as a great admirer or Washington and curious about the idea of telling his story in a more novelesque fashion, I bought it. It exceeded my expectation and kept me riveted. I have read much about the revolutionary war, the founding fathers of our country, etc. This book added elements other authors did not add in their books. For example, I have known for a long time that the weather played a big part in the outcome of the revolutionary war, but I didn't know as much about it as I would have liked. 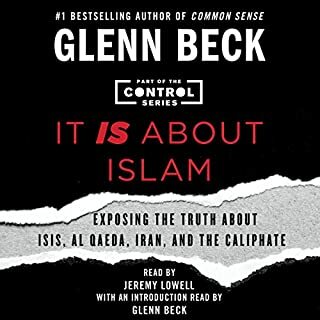 Glen Beck gives a lot of detail about it. It was fun and inspiring to learn these things. 1776 by David McCullough. That also had lots of interesting detail and is a very good book. It also helped me understand George Washington better. He read it with the same enthusiasm that I feel Glenn Beck wrote it with. It was enjoyable to listen to! I was thrilled with what I was learning! I was very inspired by this book. George Washington was a good and loyal man. It was exciting to be in battle with him and learn about him. Thank you for a wonderful experience..
Would you listen to Being George Washington again? Why? Yes I would listen again. It is not just a great book about a great man. It makes me want to be a better person, period. Heroism, honor, and sacrifice. What it takes to be a real-life super hero! There are a few things I should say first...1) A better story could not be written about the father of our country, 2) A more profound patriot could not have written a better book, 3) Why do I NOT know these stories about the indispensable man (oh, how I loathe the progressive agenda), 4) I am not a religious person and 5) Beck is my personal Hero! 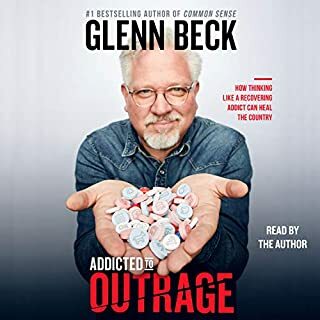 I first learned of Glenn Beck while he was on CNN. It was about that time when he released, or that I heard of, The Christmas Sweater. Never in my life had I been on such an emotional roller coaster so many times in one book. 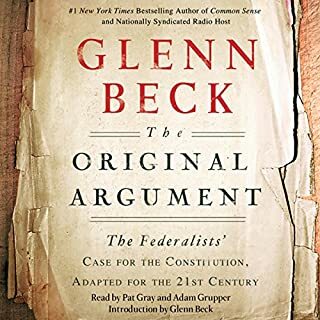 It was that book, Glenn's promotion of history "in their own words" and the creation of "Founders Fridays" that made me honestly believe Glenn was more than just an opinion anchor; more than just an entertainer. I found Glenn's insistence to "find the truth yourself" and to "do your own research, don't believe me" to be as sincere as the love I have for my family (I really hope he doesn't prove me wrong someday). 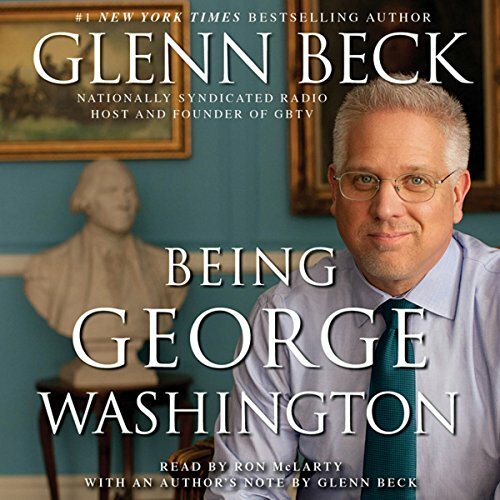 I personally owe Glenn Beck my gratitude; Glenn taught me that HISTORY really does enlighten one's future. Never in my life have I been so profoundly challenged to be a better person, by someone I do not know. Never in my life have I been so in awe of the providence someone holds so dear in their life. 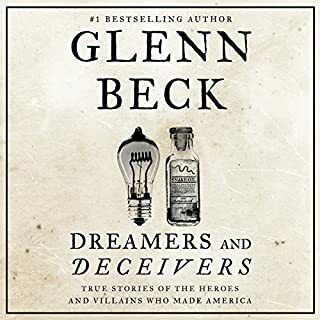 While the Snow Angel is an inspiring and hopeful read, this book, Being George Washington, despite what Glenn Beck believes, is the GREATEST story he ever told. I listened to the book in two days while driving to Northern CA for Thanksgiving; just two weeks later, I realized that I had forgotten many important aspects of Washington's life and honor; I am in the middle of listening to it yet again. In an effort to RESTORE our nation, I do not believe a better book than this could be more valuable or more timely. George Washington is the man who saved our Nation from itself; he sheltered our soldiers from the savages in Congress and saved the Congress from our soldiers discontent. At the point where EVERY American believes they can be George Washington (in their own lives), is the point where America will be RESTORED. While I will probably never save a nation, I believe Washington was so great a leader and American Hero that I will do my best to live the rest of my life asking myself every day, "How would George Washington deal with this?" Glenn, your love for George Washington has changed my outlook on life and how I conduct myself both personally and professionally. Your love for country has been your most endearing quality, and your love of providence has been a confusing but inspirational journey for me; I am not sure I will ever have the same faith in God that you have, but I am grateful to witness what someone's faith in God has done for their life and their country. I should never say never, but I have added personally meeting Glenn Beck, to my bucket list. It would be a distinct honor. In the mortal words (or sentiments of) of the indispensable man, George Washington, God Bless Glenn Beck and may God Bless America, the greatest nation in the history of the earth. If you could sum up Being George Washington in three words, what would they be? Excellent dramatic historical fiction. I was captivated the entire book. The writing style is SUPERB! What a remarkable story. The care taken to assure historical fact was excellent. It flowed beautifully throughout. I am extremely impressed. George Washington's life of service to his country and the way he lived his entire life is a model for all American's to follow. The stories of the battles, the relationships, and the betrayals are told in a way that should be used in every school.